When you have needs for dermatological care, you need a dermatologist who listens, who is knowledgeable, who offers the best treatment for YOU and who cares more about your actual needs than selling products and/or services. Dr. Cayce meets all these criteria. Each patient spends one-on-one time with Dr. Cayce, receives individualized recommendations for skin care and is welcomed to a modern, state-of-the-art clinic. Dr. Rachael Cayce is a Board-Certified Dermatologist, committed to providing empathetic, thorough and results-driven care to the Los Angeles community. Dr. Cayce is a Fellow of the American Society for Dermatologic Surgery, Society for Investigative Dermatology and American Academy of Dermatology. She has conducted extensive research on subjects such as early detection of melanoma, treatment of connective tissue diseases, educating non-Dermatologists and the use of the internet to anticipate outbreaks of potentially fatal skin diseases. Her research has culminated in numerous publications in prestigious scientific journals. 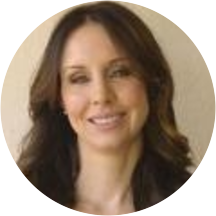 Prior to establishing DTLA Derm, Dr. Cayce was a full-time faculty member at the University of Texas-Southwestern where she trained residents in medical, cosmetic and surgical procedures. Dr. Cayce earned her medical degree from the University of Texas Southwestern Medical School, where she graduated at the top of her class. While a medical student, she received several academic accolades, including being inducted into the Alpha Omega Alpha honor society and being chosen for the "Excellence in Dermatology" award, which is presented to the medical student who achieves both academic and research excellence in Dermatology. Due to her achievements, Dr. Cayce was selected for a prestigious Doris Duke Clinical Research fellowship focused on advanced medical Dermatology. Dr. Cayce continued to excel as a Dermatology resident at UT Southwestern, being selected to serve as Chief Resident and receiving the academic excellence award every year for top performance on national Dermatology performance exams. Rachael was great. Very thorough from my yearly skin exam. Answered all my questions. FINALLY, a dermatologist visit where I have felt my concerns were listened to and validated. Dr Cayce and the nurse where both so nice and easy to understand as they explained conditions and treatments to me. I even got a paperto take home clearly explaining what I'm supposed to take/do and how often. My only complaint is that parking is annoying at this place, so give yourself time before and after your appt to deal with that. Dr. Rachael Cayce was very knowledgeable and was the only doctor (from the other two I’ve seen recently for the same issue) that took interest in the matter as oppose to dismissing my skin problem as simply an allergic reaction. Iwalked out of her office with hope to finding a solution soon. I could tell it was super busy, but Dr. Cayce didn't let that effect her behavior when speaking with me. She took her time to ask me questions and really listen and then make sure I understood everything before I left.I really appreciated that since I've been to other doctors who seem to rush in and out and leave me feeling confused. Also appreciated that they were upfront about additional costs of treatments that weren't covered by my insurance so I could make an informed decision rather than being surprised when I checked out. I LOVED this office! Everyone that works here is so friendly and welcoming! I felt right at home upon arrival. I will definitely be using this office for all of my dermatology needs from now on. Dr. Cayce is an exceptionally kind, patient, and calming doctor. Highly recommended! Excellent experience! Didn't wait at all and Dr. Cayce was very helpful explaining everything. Dr. Rachael was incredible! Very helpful, patient, and didn't make me wait. I would definitely recommend her to anyone and I will come back to her. Thank you Dr.! First time I met Dr Cayce, she made me wait 20min and expedite our appointment in 5 min but she convinced me to come back for Botox. So I did. My appointment was at 8:20am. After more than 30min waiting ina cold room where I was able to hear her chatting with a colleague/customer/friend I decided to leave. I am very disappointed. Dr. Cayce is amazing. She was so warm and caring and really listened to my needs and concerns. My only criticism is their medical assistant/ check out procedures. I had medication that was being ordered through a company they use. That'sfine but as they tried to explain this process, I felt completely rushed to leave. I checked Dr. Cayce's availability online and received an appointment the same day! The office is clean and the staff very polite and professional. Dr. Cayce examined me for moles and took the time to thoroughly explain in plain english eachone. She froze a few and surgically removed another for a biopsy. She is pleasant, patient and very personable. Since I don't have insurance and paid cash, she adjusted the rate for the visit. I would highly recommend her to any patient. Quick and effective! Dr. Cayce is smart, helpful and offers solutions. Office is new, clean and staff is friendly! Dr. Cayce is the best -- and kindest -- doctor I have ever been to! I wish she specialized in every kind of medicine so I could go to for everything. I totally trust that she knows exactly what she's doing and she is so sweet. Best ever! She was great. Very thorough, caring and quick. Incredibly smart. She knew her stuff. Amazing doctor and staff! Highly recommended! Dr. Cayce is a phenomenal doctor. Whipsmart and kind. Great bedside manner. She's the only dermatologist I've given repeat business. Great doctor! Friendly, professional team and beautiful office! Highly recommend! Dr. Cayce is very informative, I definitely felt like I left her office knowing a lot more about my skin condition than I knew before. I will be going back to Dr. Cayce for all my skin care needs. Dr. Cayce is awesome. Her bedside manner is excellent. She is approachable and down to earth, which many doctors are not. She is thorough and clear. The whole office has an air of positivity. Great experience. Her impressive credentials and yelp reviews brought me in and she did not disappoint. She is very attentive and discusses all thoroughly. I felt like she gave me the time I needed unlike many other dermatologists I have seen. Her staff was truly wonderful. The office was in a strange building but was clean, inviting and comfortably cool. Dr. Cayce was awesome and reassured me about some skin questions. I would definitely go back to see her for further check ups or skin issues! Shewas also dressed up for Halloween which was an added bonus. :) Everyone in the office was helpful and kind and the people waiting around me were seen quickly. Not being from Los Angeles always has me concerned when finding a new doctor. I feel blessed to have found Rachael. I was having problems with my scalp (red bumps/sores) and she knew exactly what it was and prescribed the treatment.Beautiful office and very efficient. Didn't wait but 3 min. Absolutely loved Dr. Cayce and her staff. Really pleasant experience all around, and gorgeous new facility. Highly recommended! I was very pleased with my visit. I went in for a specific condition, and was examined right away diagnosed, and was prescribed a medication. The Dr. was very professional. I actually recommended her to several friends. She was very nice - did a very thorough exam and we discussed several issues that I had. The staff at the front desk are very nice and welcoming, the office is clean and very modern. Dr. Cayce was also very warm and friendly. It was my first visit and I felt very comfortable speaking with the doctor andher staff. Dr. Cayce was very attentive and seemed to genuinely care about my concerns. Very pleasant. Loved the decor. So far so great! Dr. Cayce was very professional and polite. She explained my treatment plan well and seemed to genuinely care. Her staff was also amazing. The receptionists are very nice and positive. Overall a great experience! We shall see if my acne agrees :-). Other than feeling very rushed during the appointment, the doctor was very knowledgable and the office was great. I LOVED this office! Not only was it clean and aesthetically super cool, but the staff was so amazing. Dr. Cayce was super sweet and very down to earth. She assessed my skin and was really quick with everything, which Iappreciated. I can tell she knows her stuff and she really cares, which only added to the experience. One of the assistants that helped, Ashley, was also really wonderful. I didn't met anyone that wasn't great! I've already referred a friend and I'll be back for sure! dr cayce is a nice doctor! she did a biopsy on a lesion or mole on my lower right leg! her office will call with the results! i am sure it is not a serious problem! i trust her judgement! she explains things very clearly! Great bedside manner. Nice office. She was very helpful. Doctor and staff were great! Knowledgeable and professional, but also very friendly. Nice cheerful office and friendly professional staff! She was very professional with great bedside manner. Was very informative while offering different options for treatment. Will definitely be back for future derm needs. Dr. Cayce was really great. She was thorough, very detailed in explaining what she's doing, and very friendly as well. The office staff is also really kind and helpful. Easy location and lots of parking. This visit was quick, easy, and extremely helpful. My first time using this doctor, and I am nothing but excited to see my results. She was extremely attentive and understanding of MY skin and what I specifically need. Dr. Cayce was both very knowledgeable and professional. I'll have more to say about her after I see the impact of her recommended course of treatment. Dr.Cayce is the most knowledgeable Derm I've encountered in ten years. She was NOT condescending nor did she rush me or try to push products/aesthetic services on me-which seems to be a virus infecting all wanna be celeb-skin doc offices thesedays. She also is a magician with a syringe. Not heavy handed at all-most people have no idea my face has been injected. She gave me solid dx and recommendations after a very thorough examination. Dr. Cayce was very friendly, knowledgable and efficent. Didn't have a long wait time either. Highly reccommend. Dr. Cayce took the time to investigate my problem. She discussed her thoughts on my condition, a treatment plan and next steps for me and her office. I left her office feeling better than when I came in. Office very modern and fun. Staff is excellent. Service quick and Doctor is very kind, knowledgeable and doesn't make you wait. Best appt. EVER. Dr. Rachael Cayce, MD, FAAD has no appointments on Zocdoc right now.